There appears to be no end in sight for what might be India’s first restaurant strike. Ahmedabad’s restaurants are still not accepting orders through Swiggy and Zomato, nearly 10 days after they’d announced that they’d be boycotting the food ordering platforms. Gujarat’s Hotel and Restaurant Association had called the strike to protest the high commissions charged by Swiggy and Zomato in the city, which it claimed was eating into their profits. Food ordering companies had raised commissions on the orders that restaurants received through them — Swiggy’s commissions can be as much as 22 percent — which had caused restaurant owners to call the strike in protest. Now owners claim that Swiggy and Zomato are asking them to raise their prices, and pass on the price increase to their customers. “Online companies have been forcing restaurants to raise the food price by 20% to absorb the high commissions,” said Rohit Khanna, a committee member of association. The association, though, says that it will not raise prices for customers. This stand has come at a cost for these restaurants — the association claims that the boycott has led to a 30% drop in their online food deliveries. But it says that it will continue the strike until its demands are met. 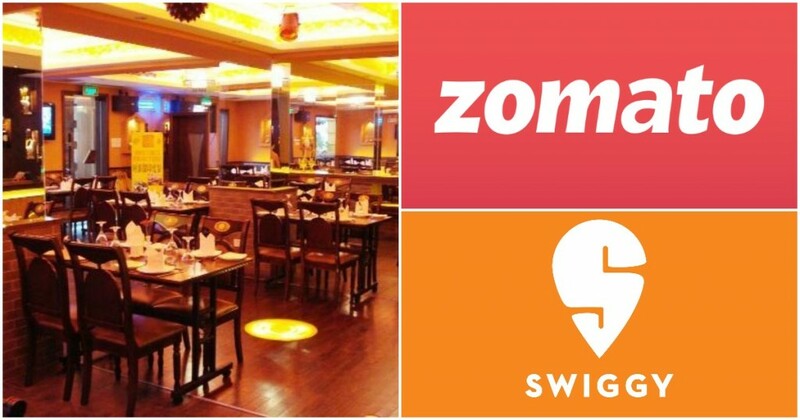 The body claims that more than 500 restaurants have blacklisted Swiggy, while many have boycotted Zomato as well. Before the strike, Zomato and Swiggy reportedly performed 70,000 to 80,000 deliveries in the city. The claims of food delivery platforms charging higher commissions are remarkably similar to the ones made by Ola and Uber drivers when they go on their many strikes. Just like cab hailing drivers had been made to join ride hailing platforms with low initial commissions and high earnings, restaurants too had been wooed into joining food delivery platforms with similar promises. And just like with Uber and Ola, as food delivery companies have gained a foothold in the market, they’ve steeply hiked their commissions in order to profitably run their businesses. Restaurant owners, like cab drivers, aren’t too happy with the change. Many restaurants now earn the bulk of their revenues from these delivery platforms, but high commissions charged by delivery platforms eat away into their profits. They’ve now responded in the only way that can — through a strike. Luckily for them, they have more leverage than cab drivers did — the food delivery market is somewhat fragmented with 4 large food delivery companies around in Zomato, Swiggy, Foodpanda and UberEats; cabs are a virtual duopoly with just Uber and Ola running operations. It remains to be seen if restaurants will be able to muscle their way into delivery platforms lowering their commissions, but one thing is clear — the seeds might just be being laid for a protracted standoff between India’s restaurants its newly-minted food delivery startups.